Reading the parable of the talents, few theological teachers would place themselves in the role of the recipient of five talents. I guess that most of us would identify with the servant given two talents. We are not great theologians whose work will shake the world and transform the Church. We are not endowed with outstanding gifts of communication and teaching. We are not those who are destined for greatness in the kingdom. Those who are can stop reading at this point. Aha, you are still with me. 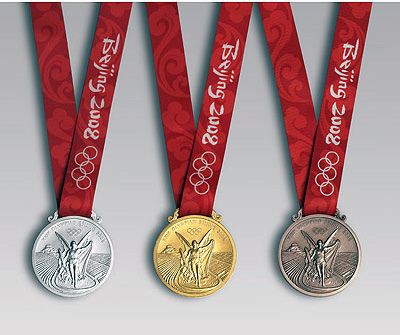 So you agree that called to teach we are, but silver medals are just about our limit. What then is our strategy to be of the most use to the Lord? Acknowledge our weakness. There is a significant body of scripture which sees weakness as of more use than strength – from Gideon and the Amalekites, to Paul’s rejoicing in the weakness from his thorn in the flesh because then he is strong. And it was at Christ’s moment of greatest weakness, on the cross, when he achieved salvation for the world. Our Lord seems to prefer to work through the weak and I see no reason why theological education should be his exception. Concentrate what force we have. Doubtless geniuses can do many things well. But, as the military know, a small force concentrated at a key point can do more than a much larger force dissipated across a wide area. We must choose what we can do and are called to do, pour all of ourselves into that and say no to the rest (to the extent that our employment allows). Work especially hard. We know as teachers that a student with reasonable intellectual ability and plenty of hard work will often outscore in exams the very gifted student who does not work hard enough. The same is true of us. I have known of many who have done more for the kingdom with average gifts and plenty of hard work than greatly gifted people who never took up the cross of time. Target student development. If you cannot change the world, perhaps God will use you to change his future leaders one by one. Don’t dream of greatness, dream of helping each of your students to grow to be what God wants– and maybe one of them will change the world. Be settled and joyful. The Christian virtue of contentment has a special application for all two talent theological educators. Be the best you can be but be content with the best you can be, and be joyful that God uses you the way he does. Now and then we will teach a five talent student and that will be a special joy. Most of the time we will need to model, for our ordinary students, how to be ordinary but useful to God. This entry was posted on April 2, 2012 at 10:23 am and is filed under Uncategorized. You can subscribe via RSS 2.0 feed to this post's comments. You can comment below, or link to this permanent URL from your own site. Thanks for this Graham, you cannot know how appropriate and timely is this post. If you send me your email address I can elucidate. Thanks for this Graham. One other comment that occurs to me is something that I think that I read in Stephen Brookfield (or a name like that), where teachers can suffer from feeling like a fraud/imposter: ‘what I am doing here/I don’t know enough’. However we are there (whether silver or other) and trust in God that we are meant to be there. “We must choose what we can do and are called to do, pour all of ourselves into that and say no to the rest (to the extent that our employment allows). ‘Pour all of ourselves … work especially hard.’ My one concern here is that a number of people probably work very hard anyway (saying nothing of ability’ When is it our cross, and when is it too much?